Mix all of the above ingredients well together. Add to a large bowl and add meat pieces making sure they are all well coated. Cover bowl and refrigerate for at least 2 hours or overnight. 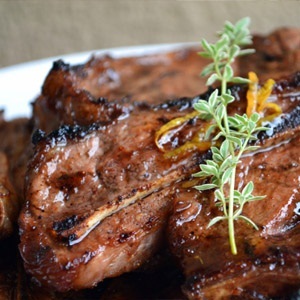 Remove the meat from the marinade (reserve the marinade) and grill as usual. Place the left over marinade in a small saucepan over medium heat and boil until reduced to about half and thickened to a glaze, plus minus 8 – 10 minutes. Drizzle over your meat before serving. Recipe reprinted with permission of DailyDoseofFresh. To see more recipes, click here.